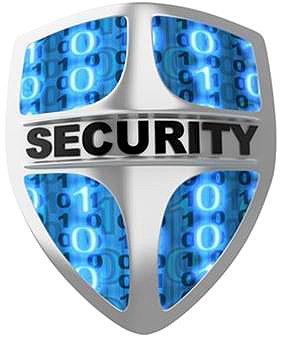 Virus protection is one of the complex and sophisticated task in most of the IT sectors. Moreover, the chances to loss your information or causing disruption of a network will greatly affects the production and thereby results to loss. Midatlantic Professional Services offer complete network protection that will effectively protect your servers, workstations and other connected networks in your organization. Our network security solutions are verified by Trend Micro, Microsoft, Symantec and Dell systems. Symantec Endpoint protection remains alert always and offers security anywhere and at anytime. It helps to offer real time protection against malicious spyware, viruses, malware without slowing down or hogging your system. On-premise scanning: Midatlantic Protection Services installs and scans your entire workstation systems on the endpoint. There are no chances to leave customer information, sensitive data or other financial data when performing scanning in the cloud. Removes existing anti-virus: We ensure to thoroughly scan and remove all potential virus causing programs or other existing antivirus software to avoid conflicts of network while installation. Instantaneous threat detection: Our antivirus malware and sypware processing tools detects thousands of malicious programs every day and integrate threats multiple times by updating itself. Footprint agent: Our antivirus program does not slow down your PC or hog down your performances while scanning or updating. Moreover, it works quickly and efficiently in background in such a way the users itself do not get noticed. Scan removable devices: Symantec Endpoint antivirus program will automatically scan your removable devices and USB flash drives. It will immediately start to detect threats before your PC gets accessed or infected. Symantec Endpoint protection protects against malicious threats on all your PC’s, laptops, workstations and servers through the cloud from anywhere.